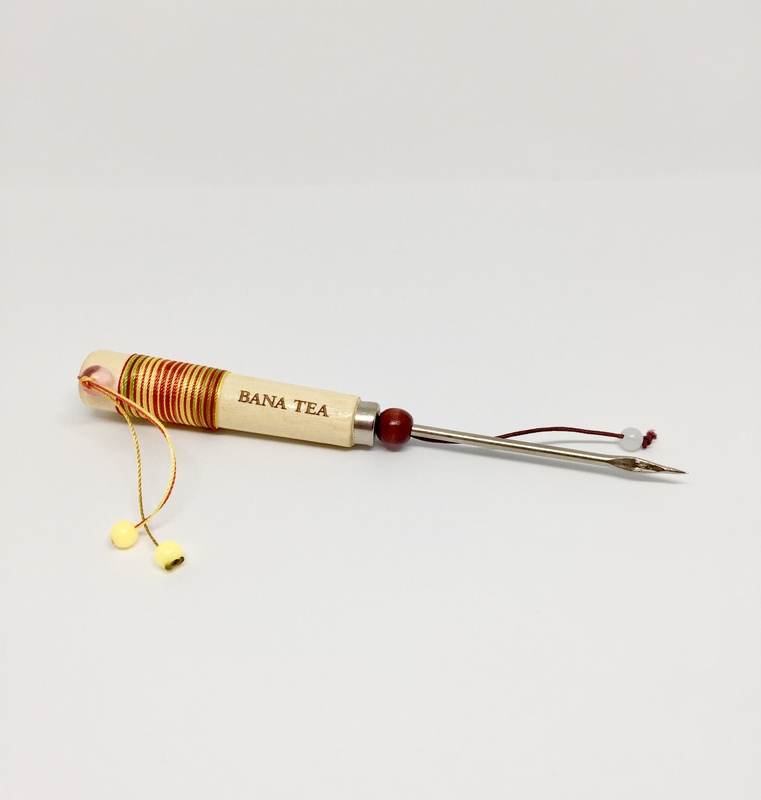 This ornate Pu-erh pick is the perfect tool for prying loose tea from a Pu-erh tea cake. 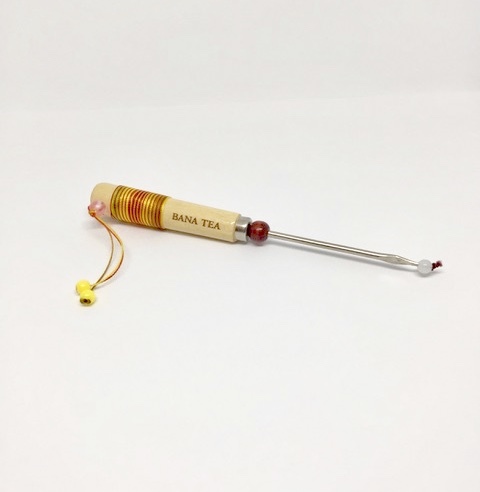 The pick is ergonomically designed with a wooden handle engraved with the company’s name and wrapped in colorful silk threads that end in a decorative tassel with a colorful stone and glass beads. It also has a conveniently tethered safety cap. Dimensions: 6" long. The metal tip measures 2 5/8." My son was complaining about not being able to break off pieces of his tea cakes. I was surprised to find a beautiful tea pick on your web site for only $4.00. Couldnâ€™t resist at the same time buying a Puâ€™er tea cake. Great products, rapid delivery and great prices. I will be back.